Situated in the historical town of Taunton, the Cooper Associates County Ground is the perfect venue to host your hospitality event. 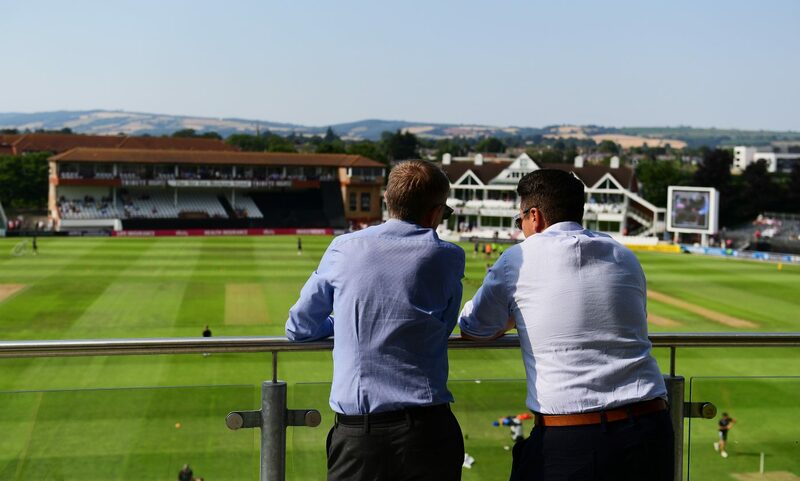 Our exclusive suites are in an elevated position with glorious views of scenic countryside and impressive church spires, as well as being the perfect location for your guests to watch all of the action. 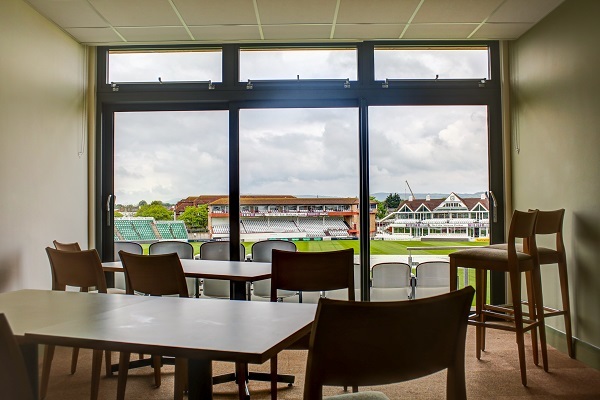 There are various suites available at two locations around the Cooper Associates County Ground. To view the individual specifications of these, please visit our County Ground Taunton website. For large group bookings, we are able to join suites in both facilities. Please contact the Commercial Office for more information and to check availability. For any queries on Hospitality, please contact Sam McIntyre at 01823 425301.